Pryce, a stand-off, has had a remarkable career to date. 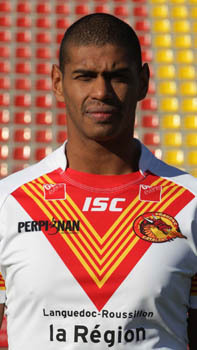 Winning the Super League three times, the Challenge Cup twice and the World Club Challenge three times with the Bradford Bulls, then another Super League title, the Challenge Cup three times in a row and another World Club Challenge with St. Helens, it is evident that Leon has a wealth of experience that he can bring into the Catalan side. A versatile, composed and pacey customer, he is seen as one of the outstanding players who take to the field in his role. Pryce has turned out 24 times for Great Britain, scoring eight tries.